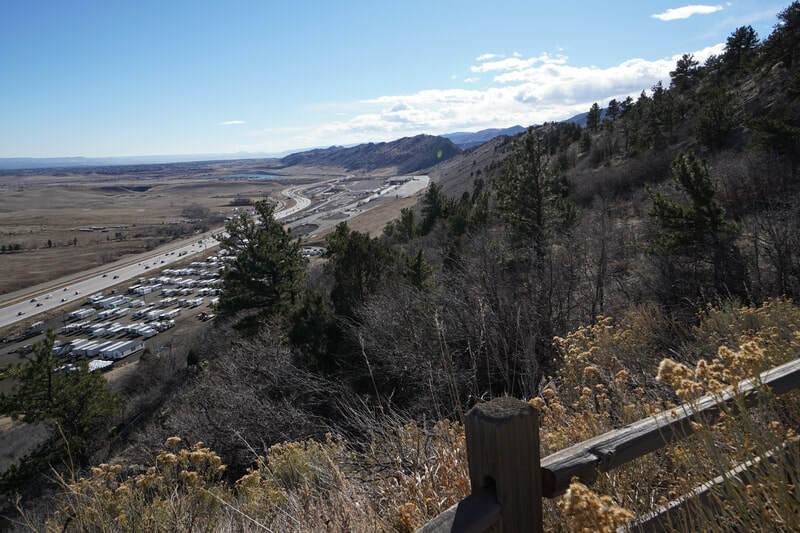 DIRECTIONS: From Denver take I-70 west to C470 East. 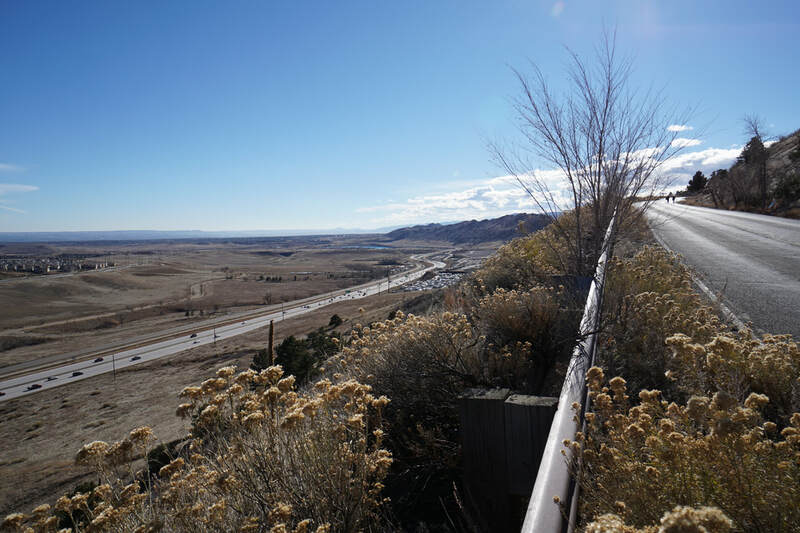 Exit at W. Alameda Parkway and turn right (west). 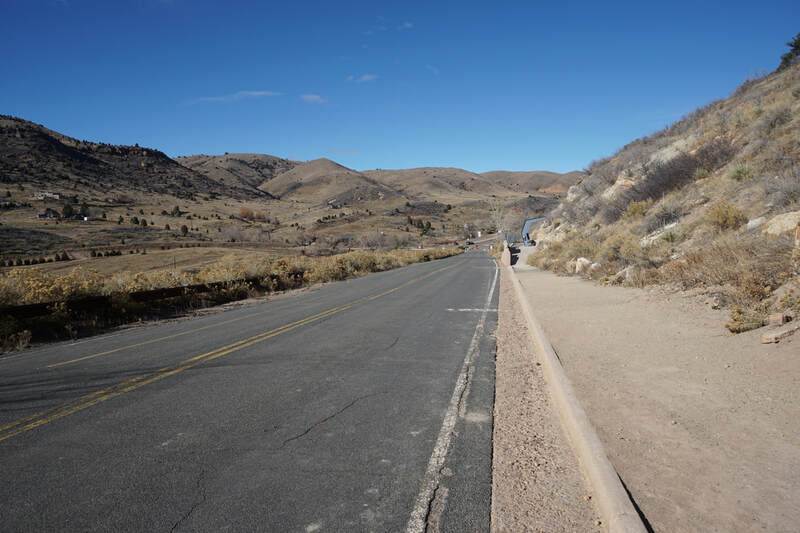 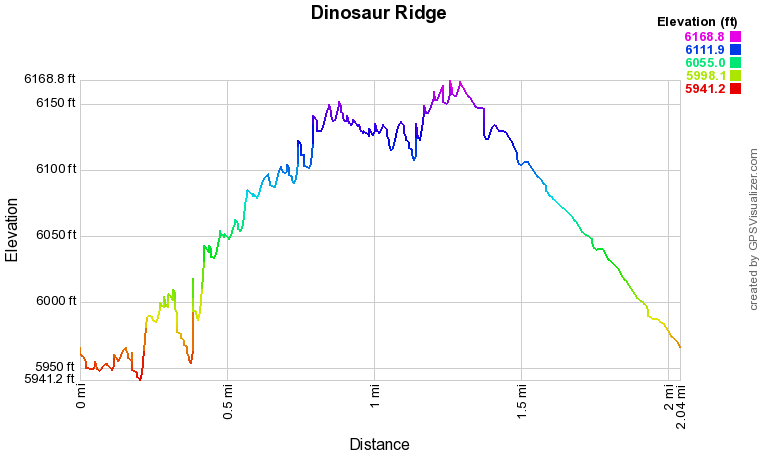 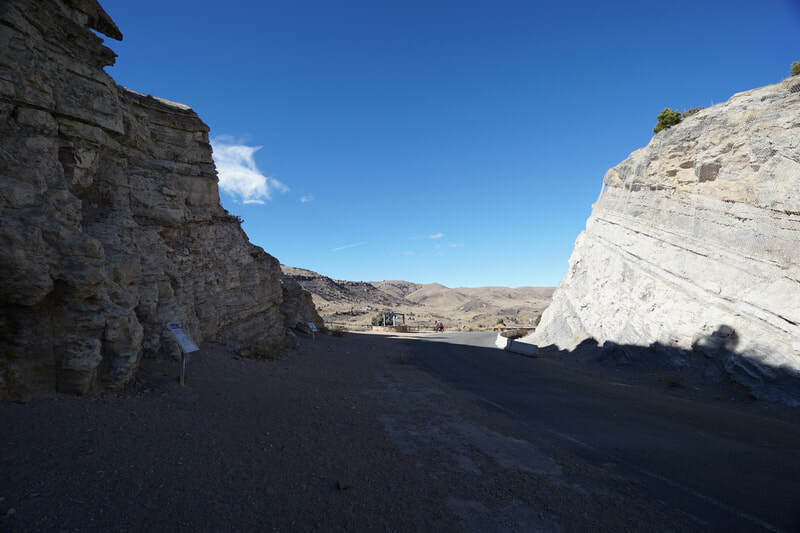 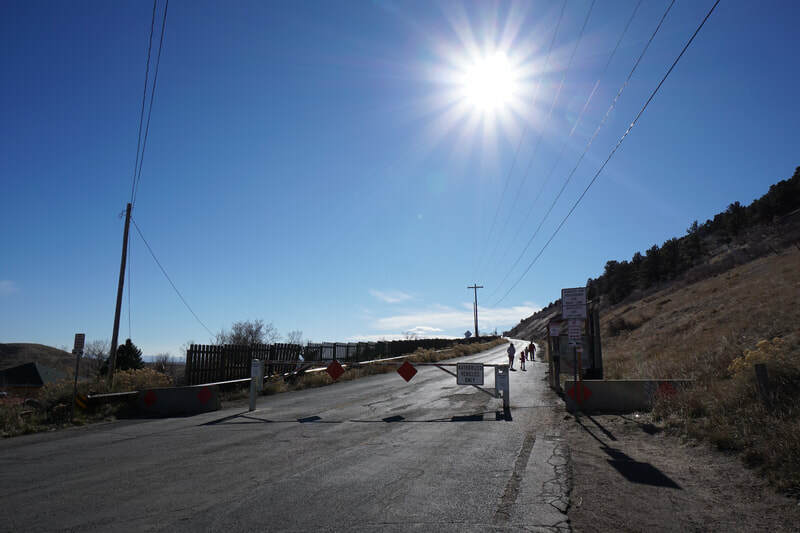 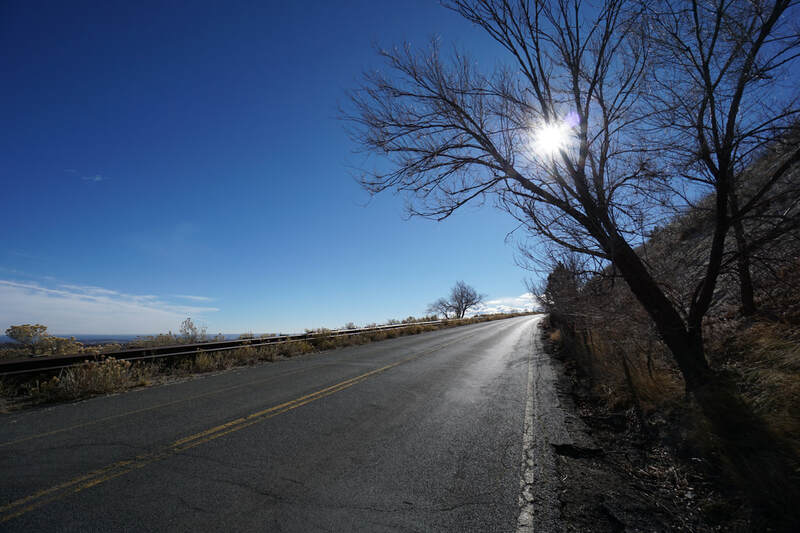 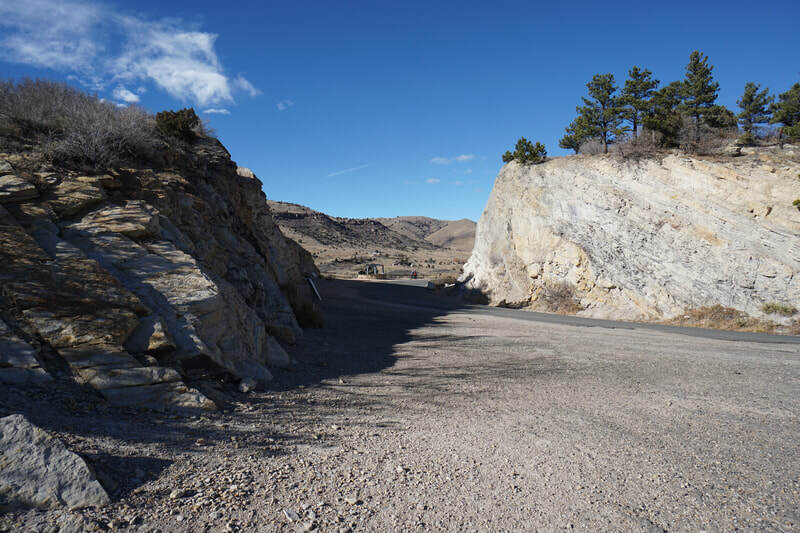 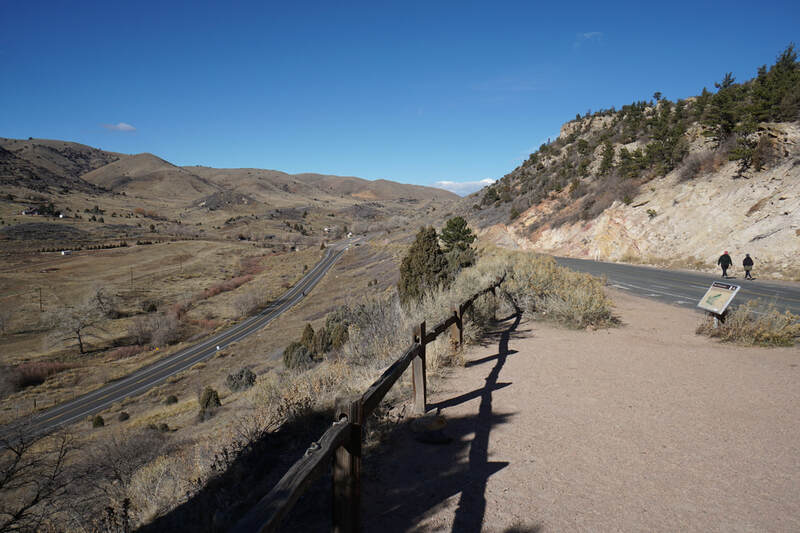 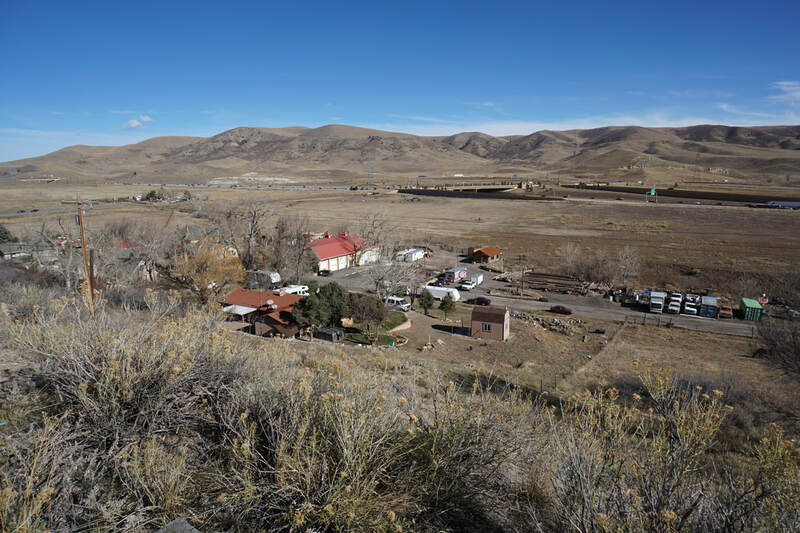 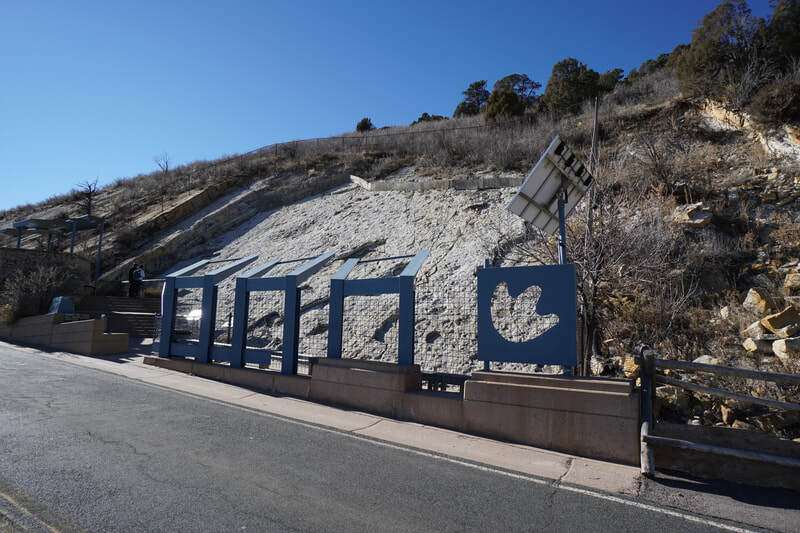 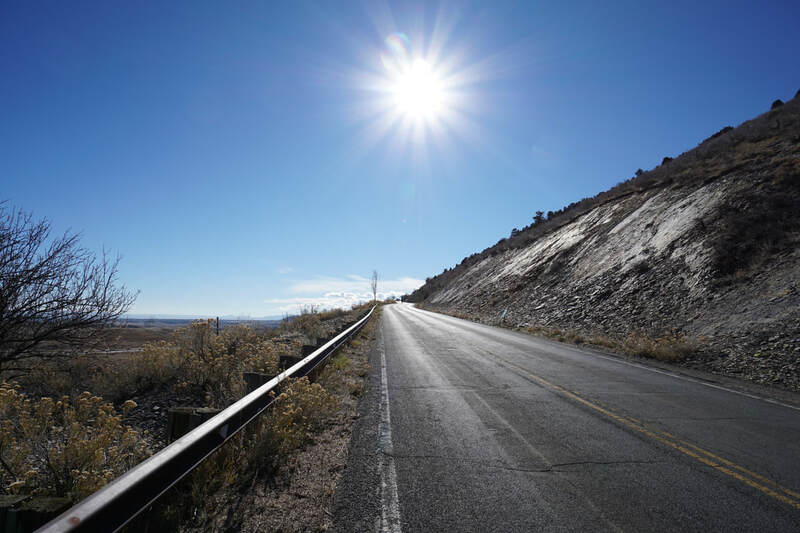 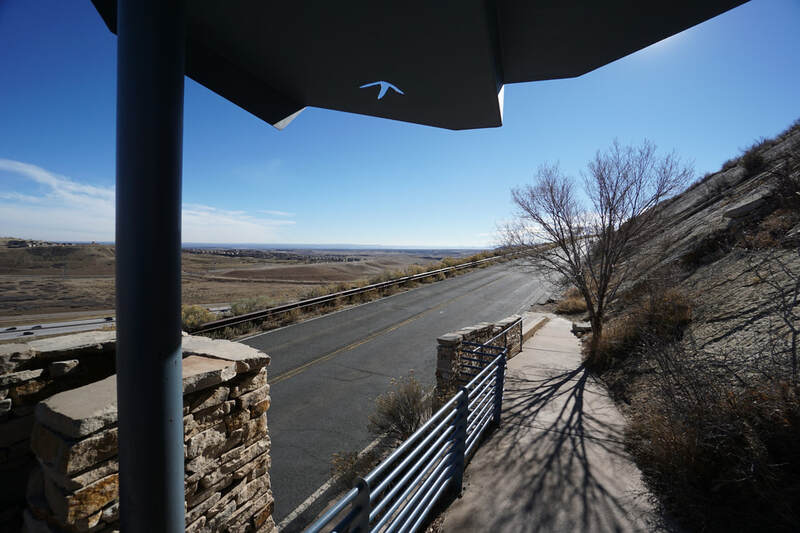 Drive past the Dinosaur Ridge Discovery Center and park at the end of the road near the gate. 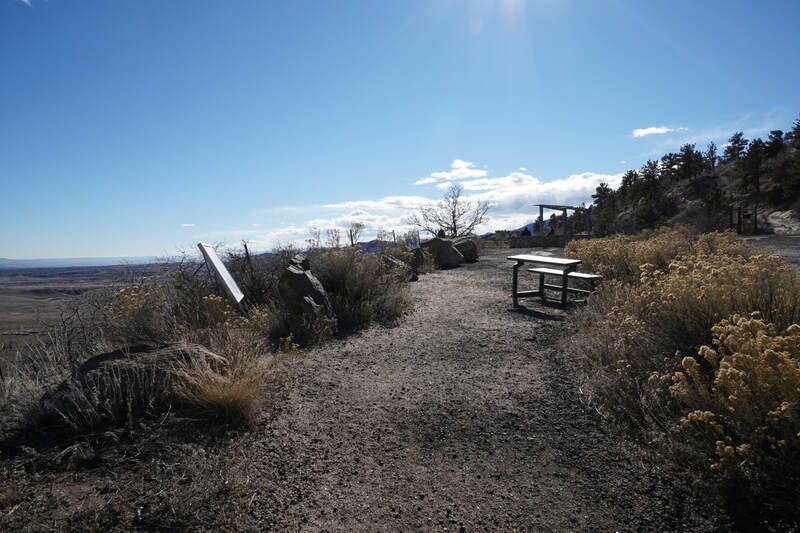 From the trailhead, simply follow the road up the east face of the hogback. 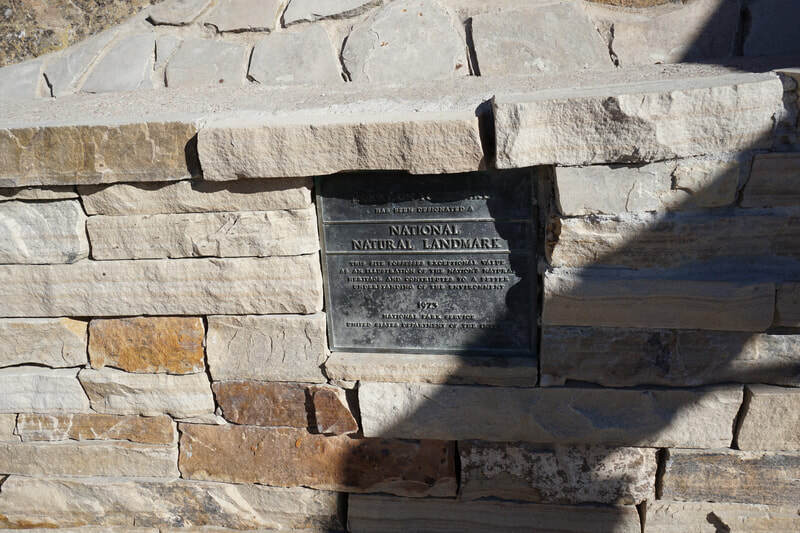 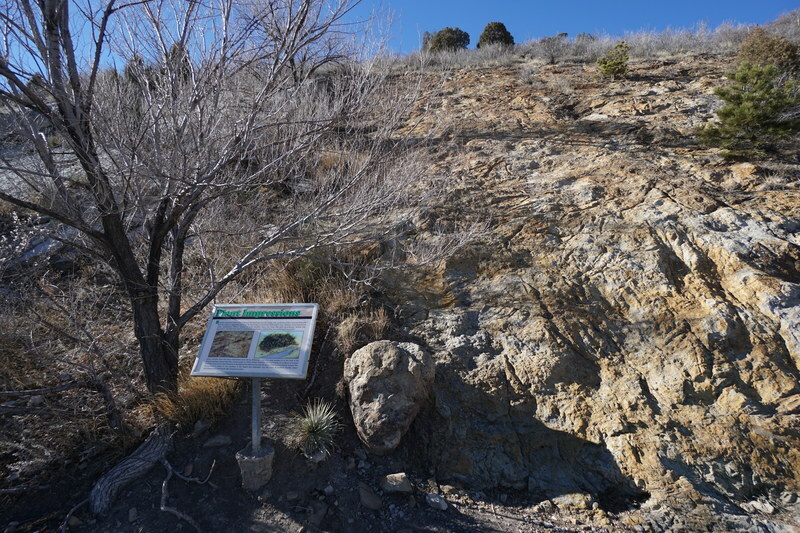 Along the way there are various interpretive signs explaining the fossils and geologic features. About half way up the trail is the first major exhibit, the dinosaur track site. 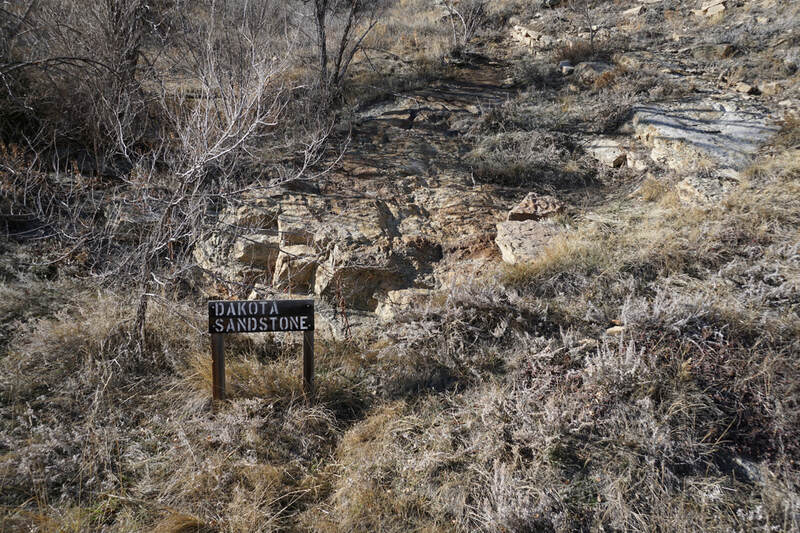 There are benches and shade and plenty of material to read about this fascinating find. At the top of the hogback, there are signs explaining the view of Green Mountain and the Dakota Hogback. 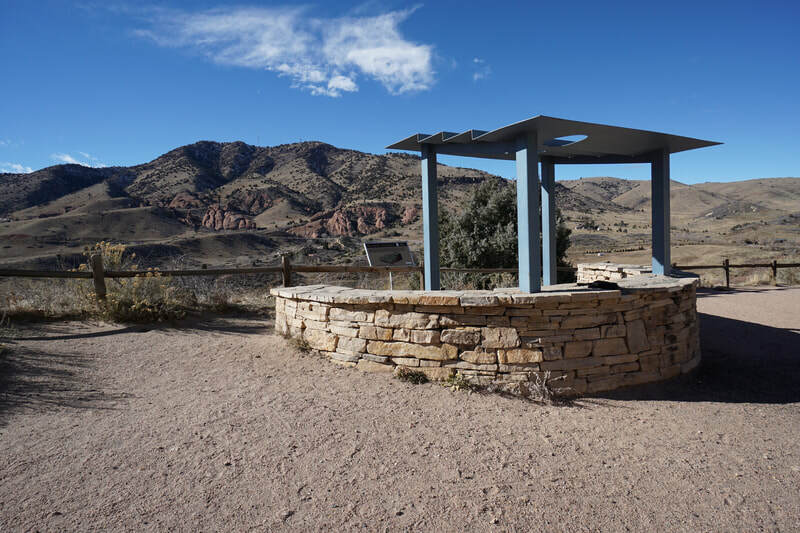 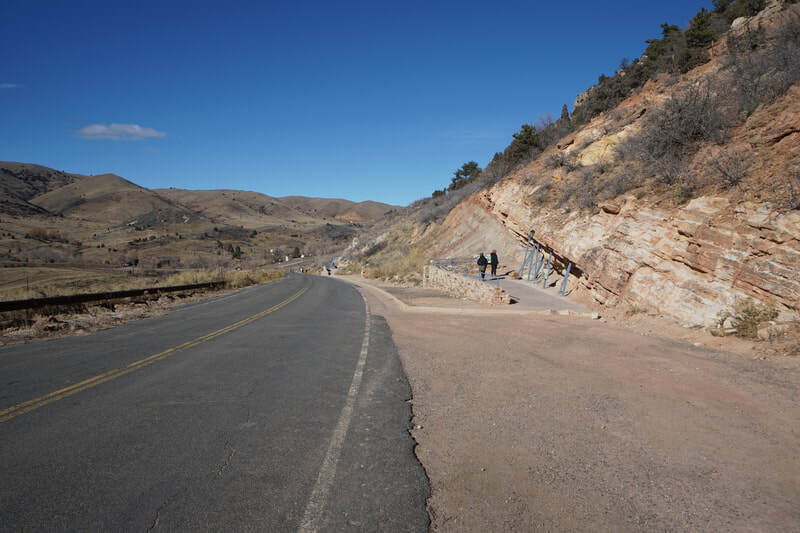 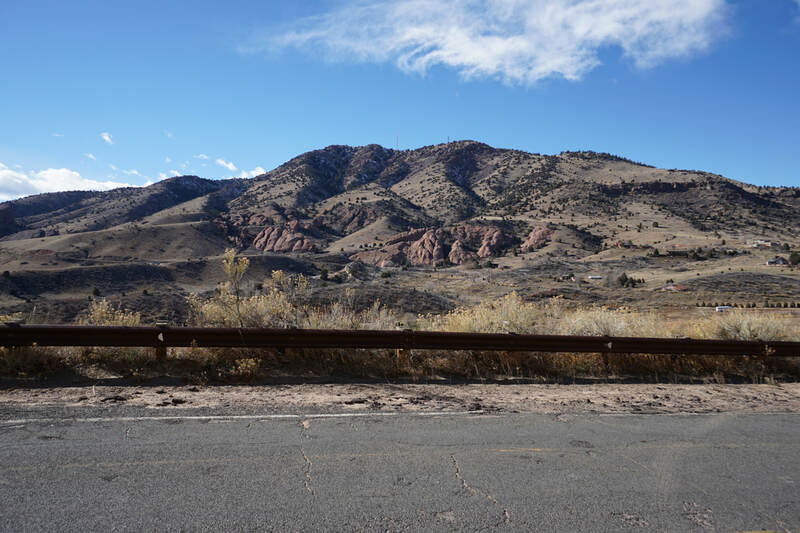 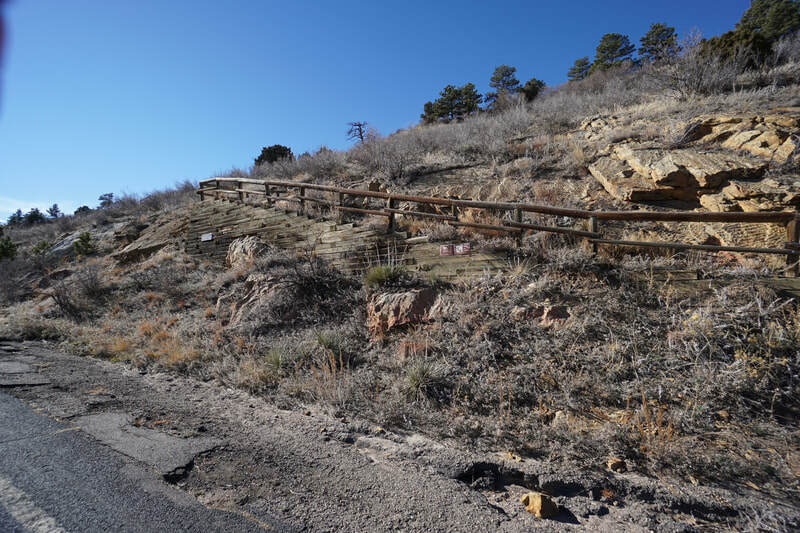 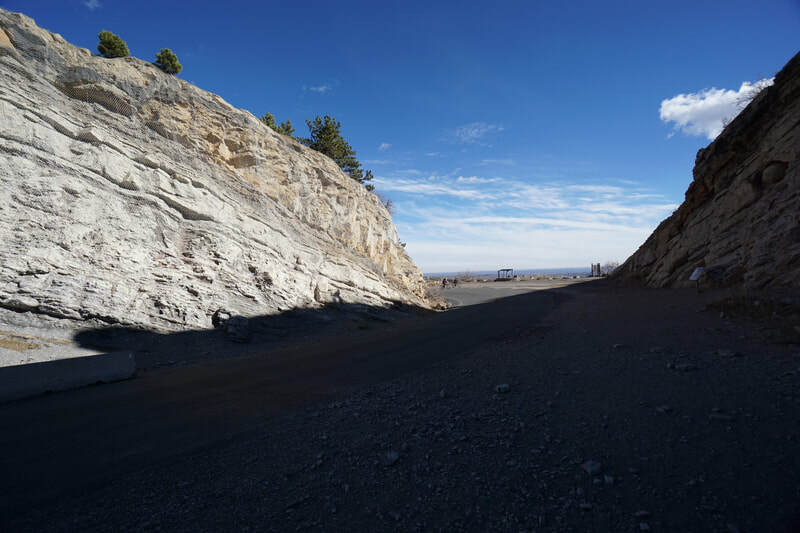 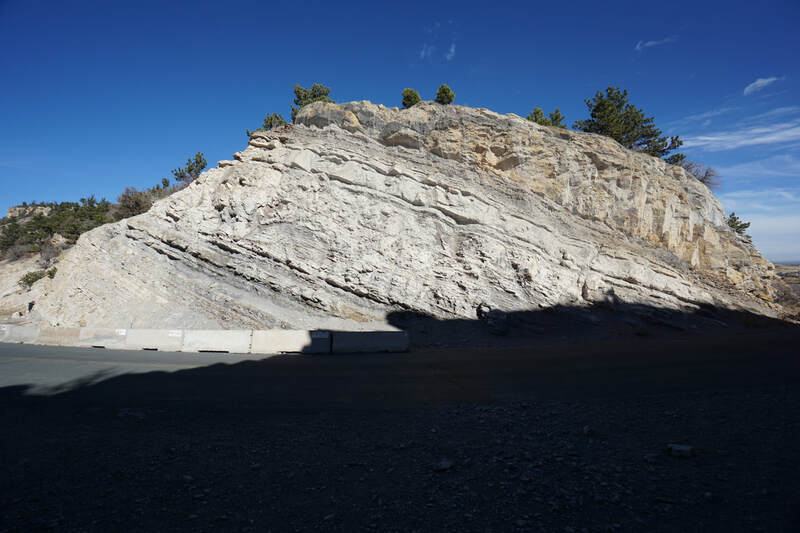 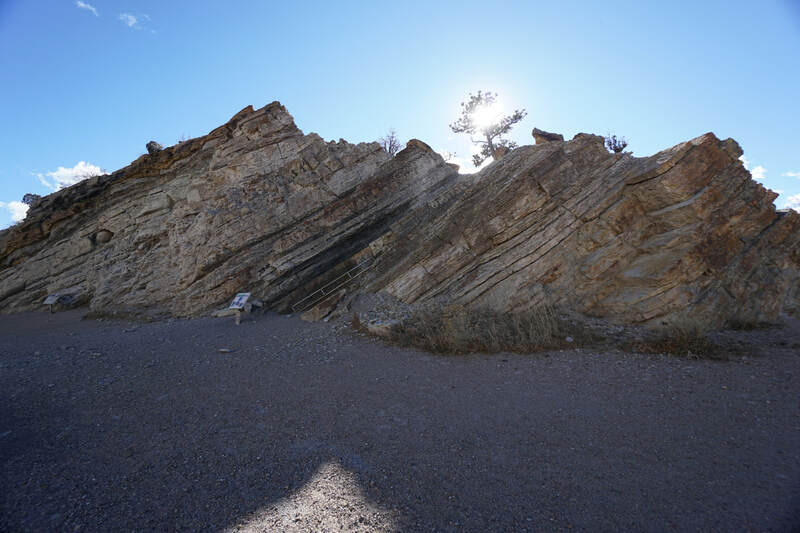 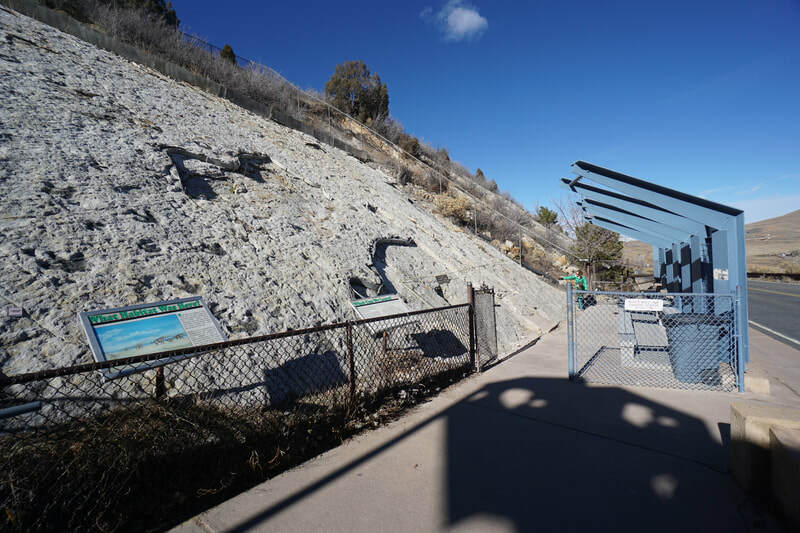 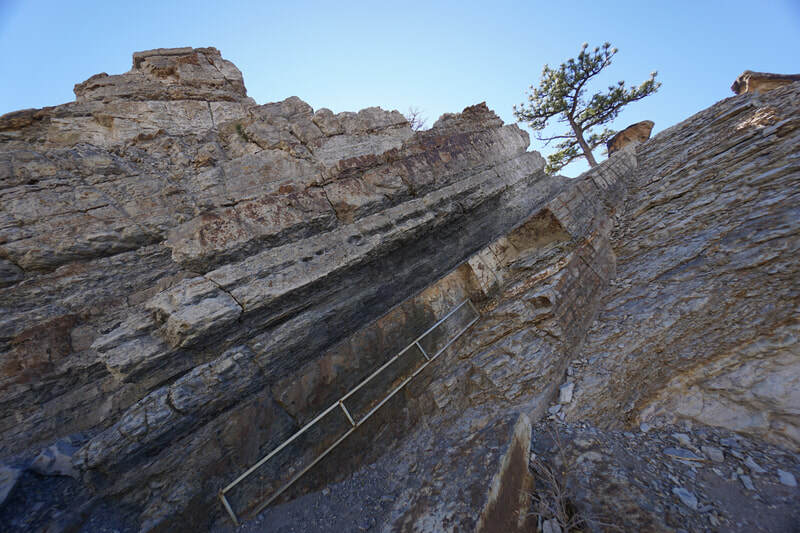 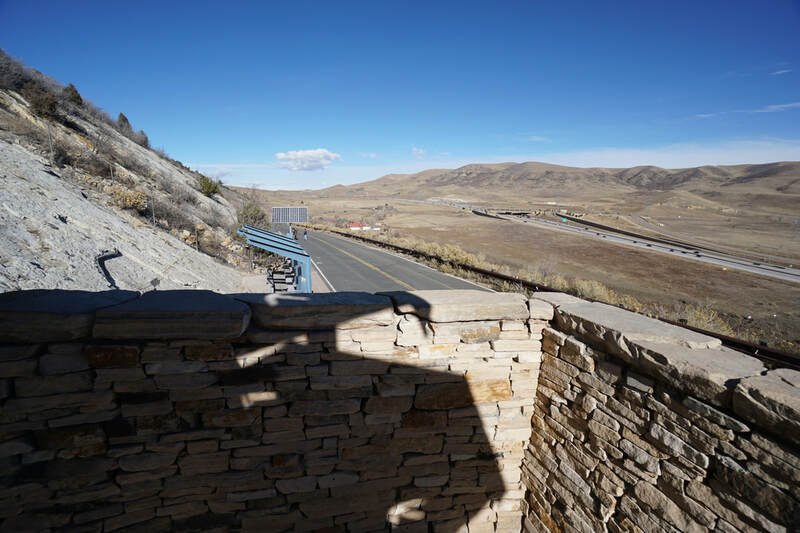 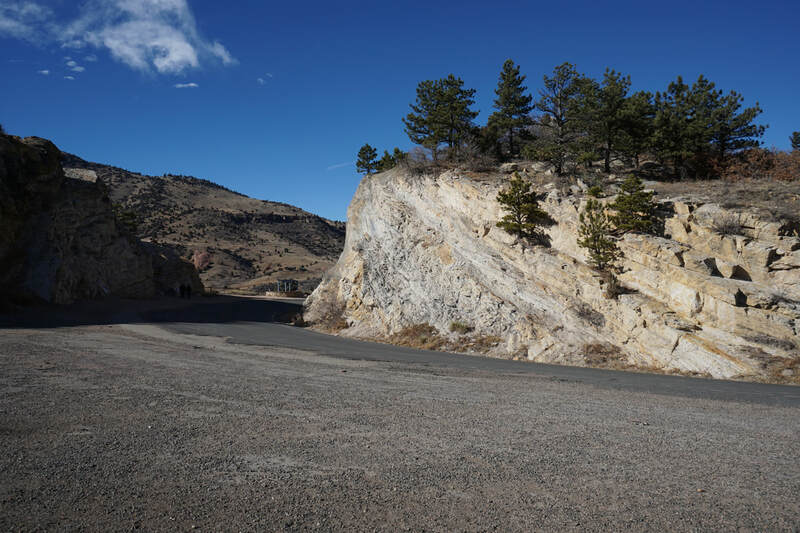 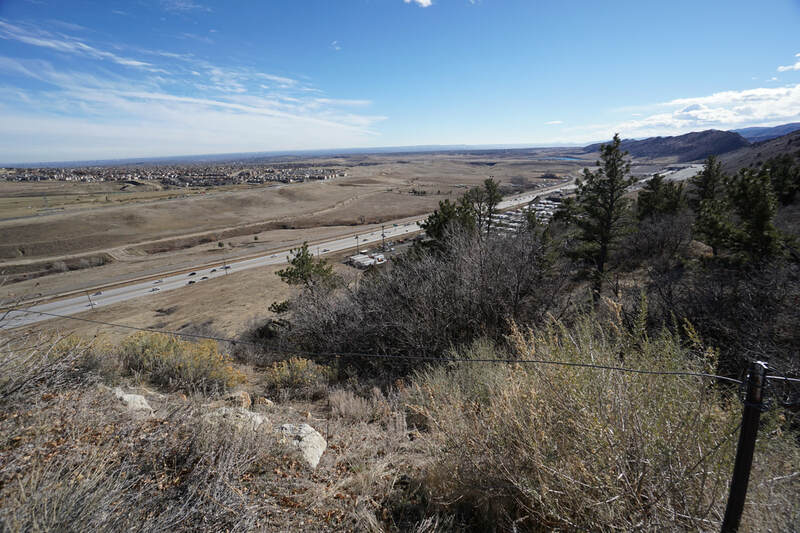 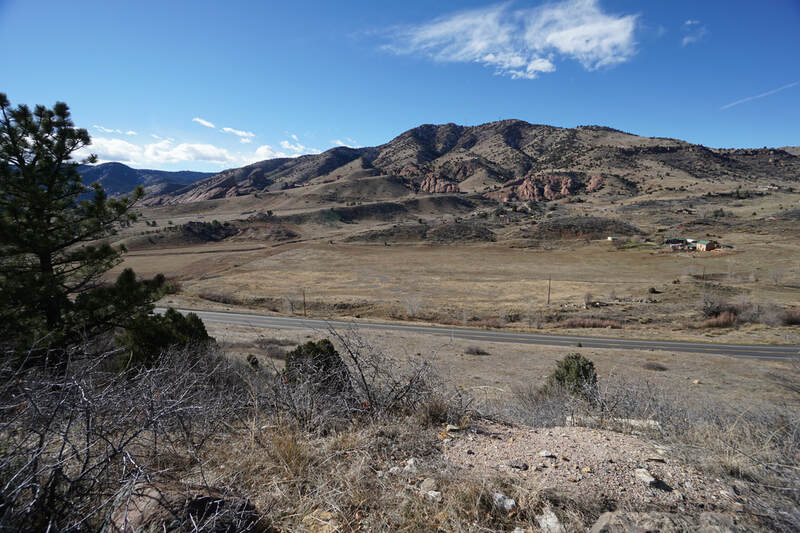 As you walk through the "gap" in the hogback you'll be treated to views of Mount Morrison and Red Rocks Park. 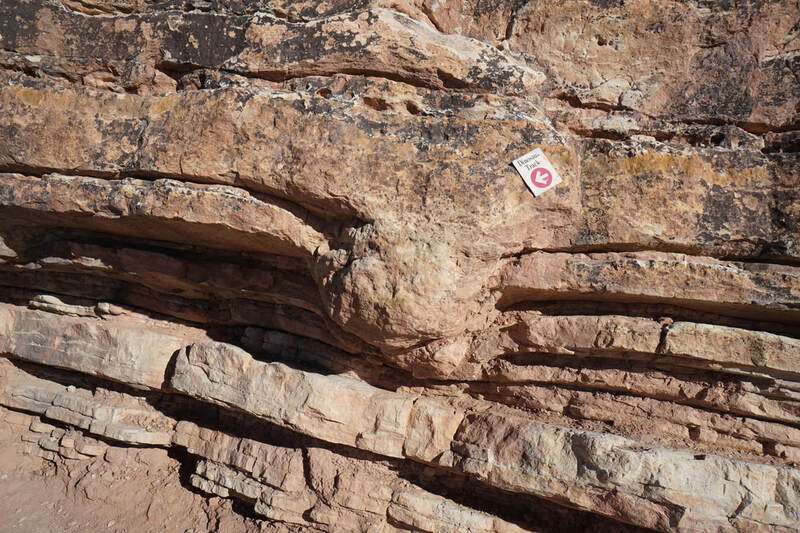 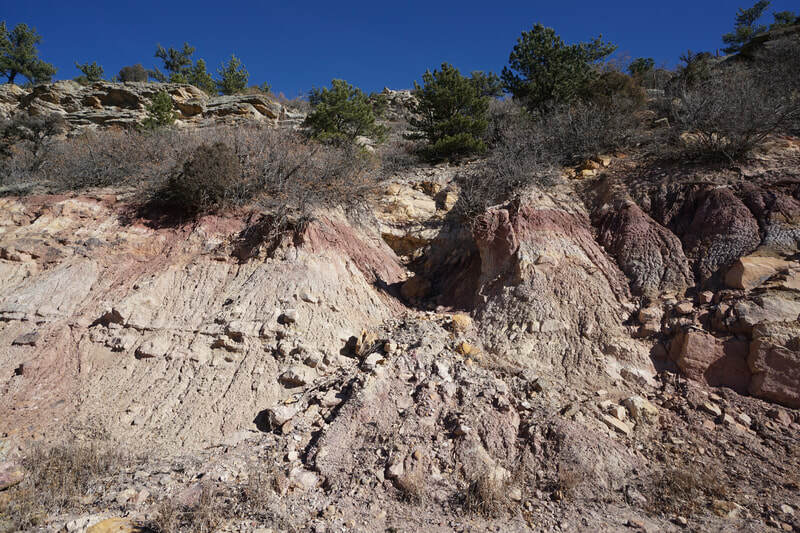 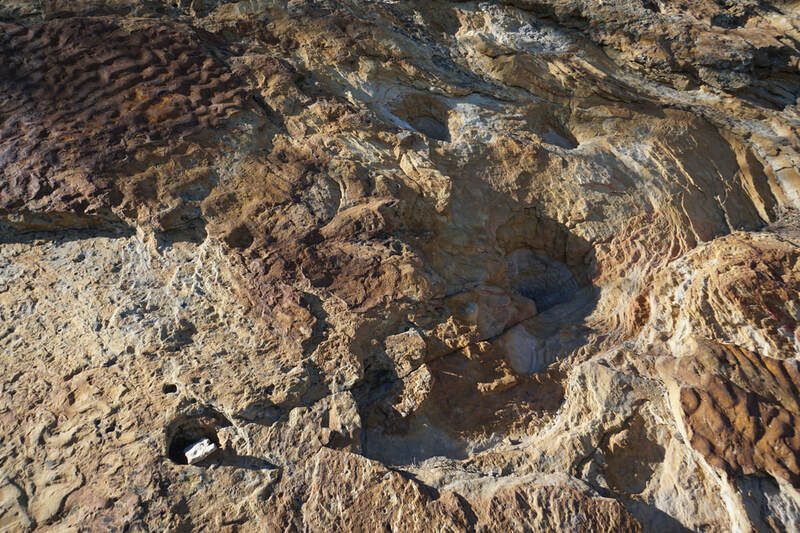 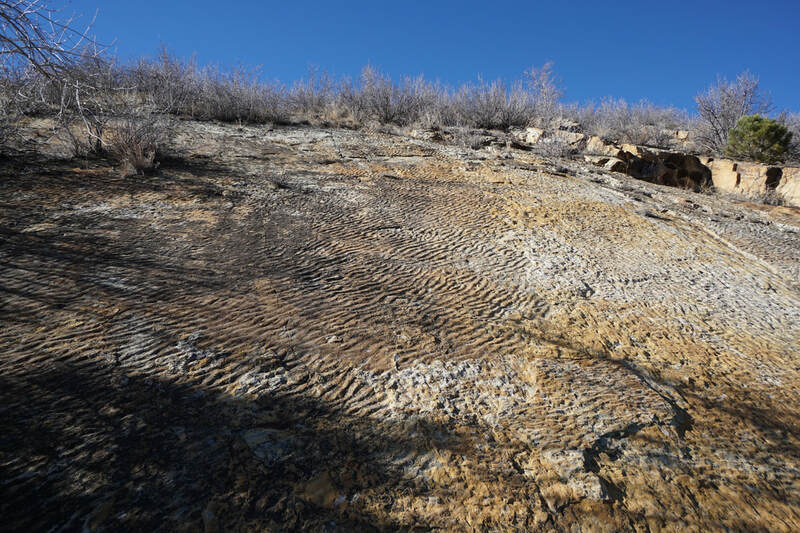 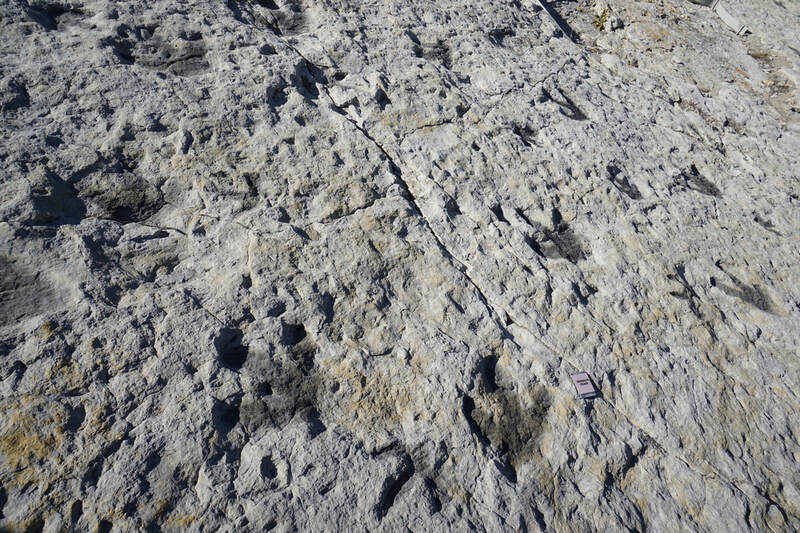 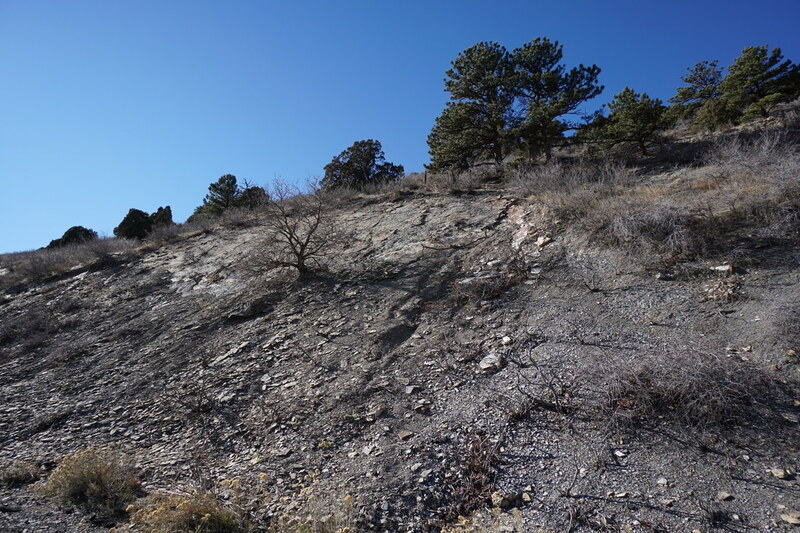 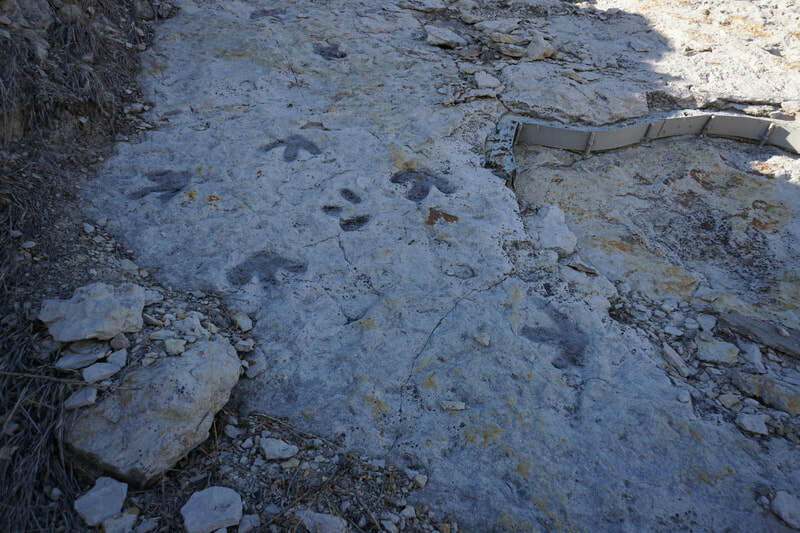 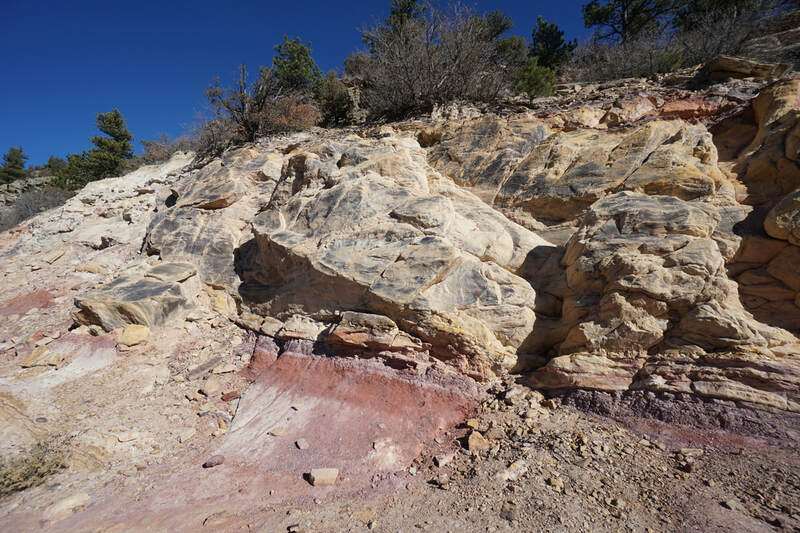 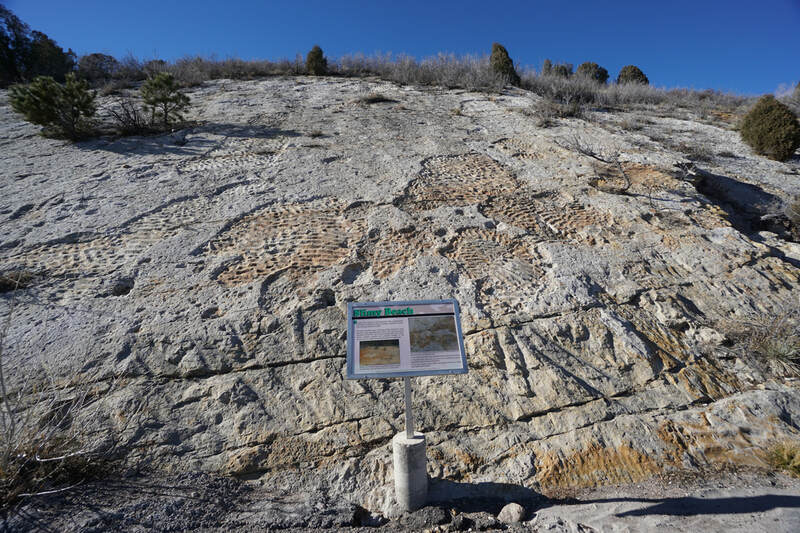 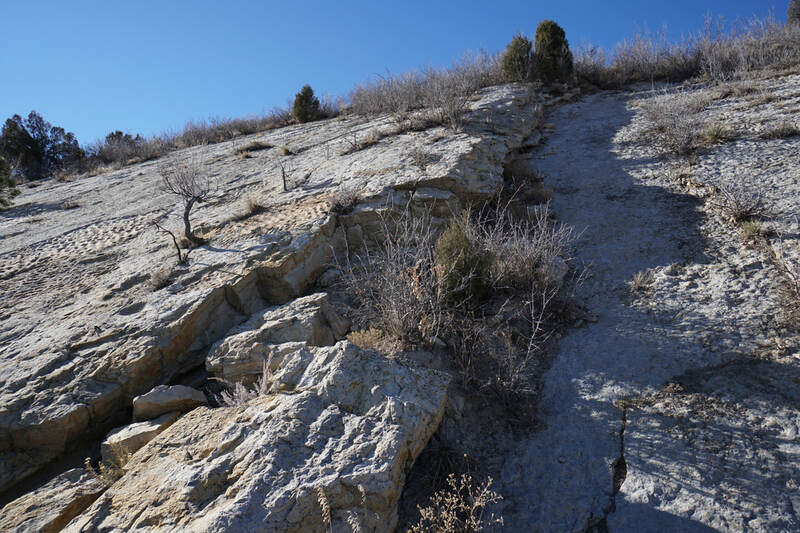 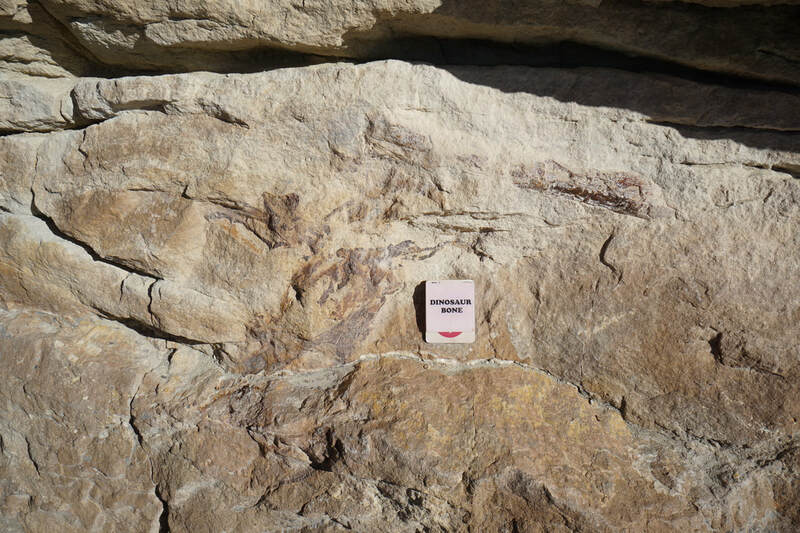 Continue down the western side of the hogback to see more dinosaur tracks (from underneath!) 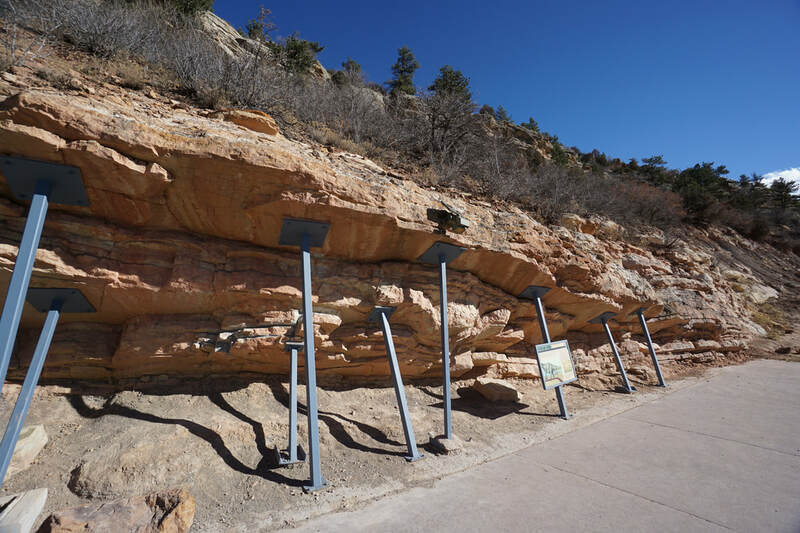 and the dinosaur bones exhibit. 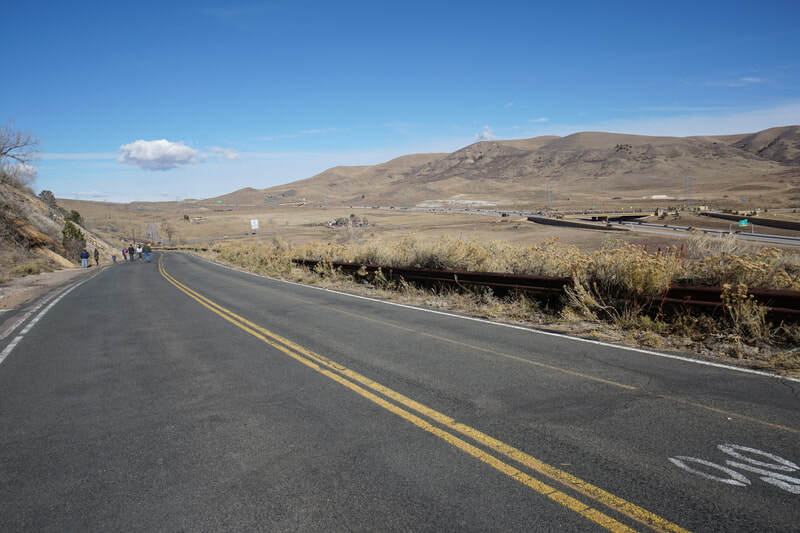 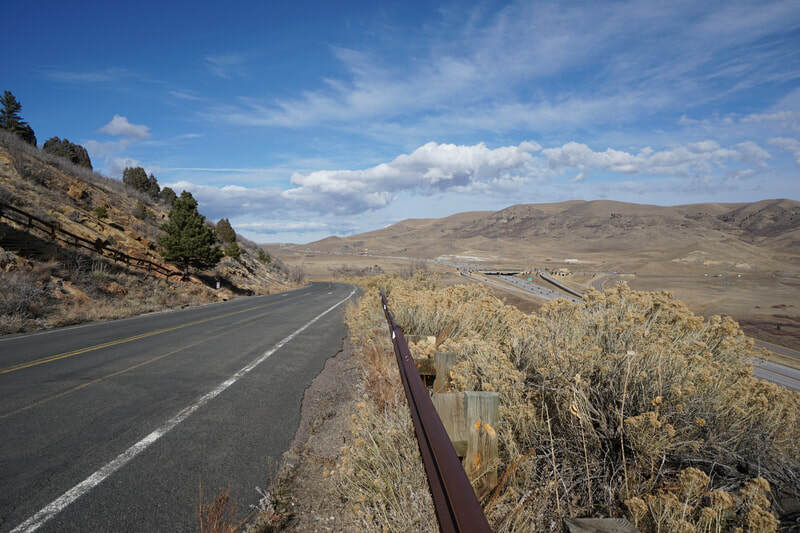 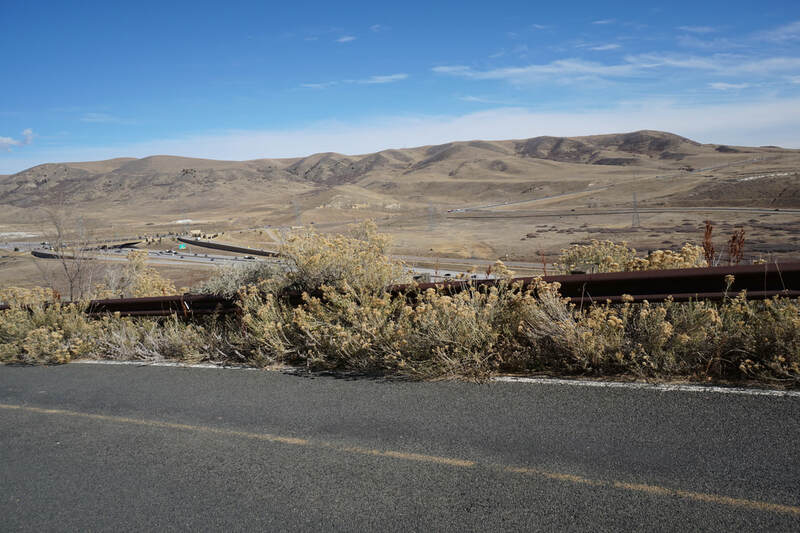 The road continues down to Highway 93, but return by following the road up and back over. 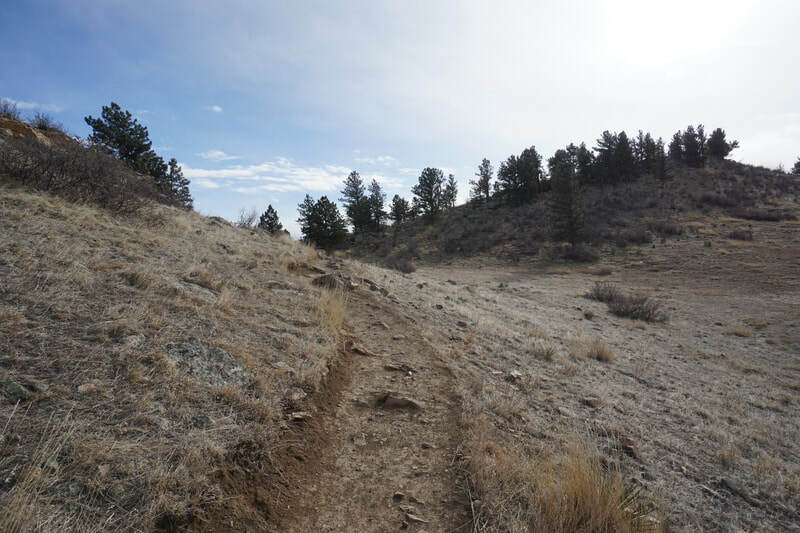 You can also connect to various trails in Matthews-Winters Park to tack on some extra miles on soft surface trails if you want a longer adventure. 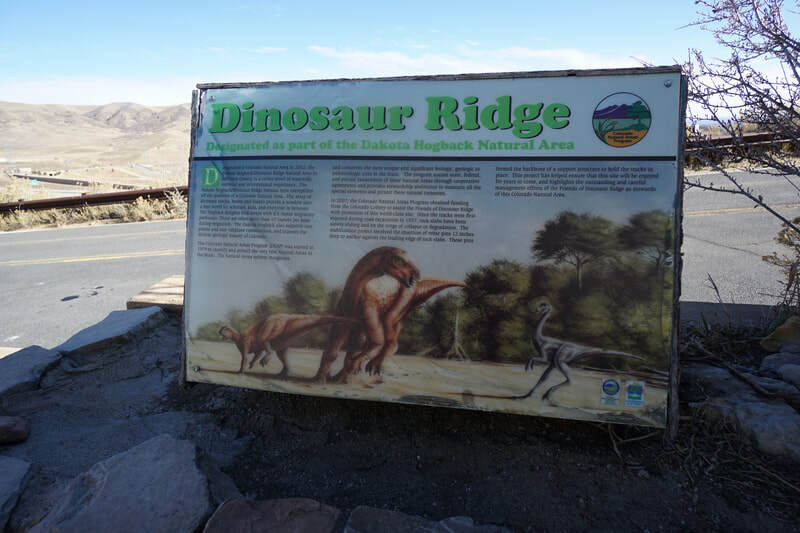 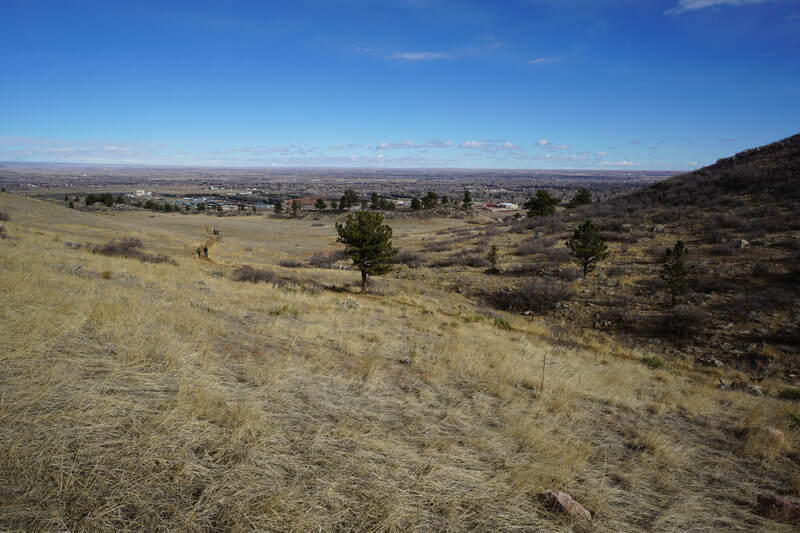 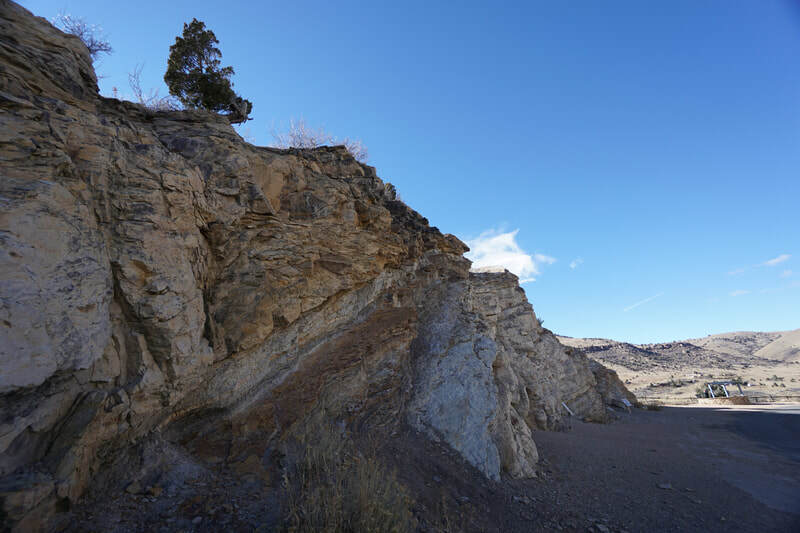 Dinosaur Ridge is wonderful resource and was recently designated as a National Natural Landmark by the National Park Service. 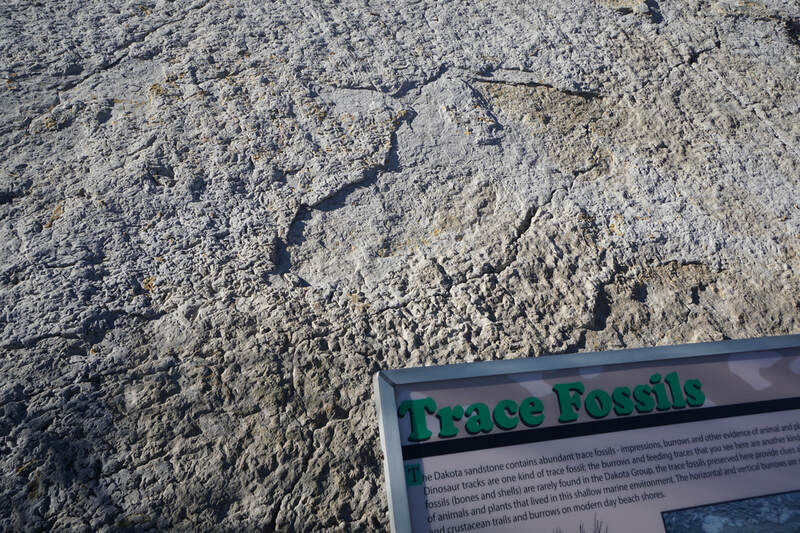 Be sure to check out the Discovery Center as well as the Triceratops Trail further north along Highway 93 in Golden.